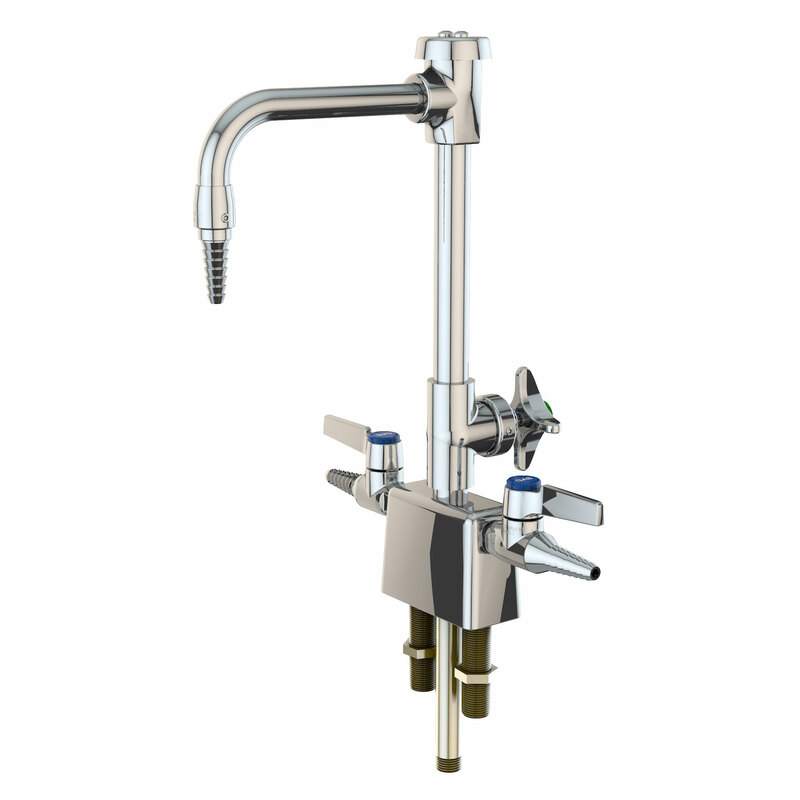 VR5600WSA – WaterSaver Faucet Co. Application: Vandal-resistant deck mounted fixture for cold water and gas, air and/or vacuum. Fixture has three inlets, so valves may be used for different services. All-forged brass construction for superior strength and durability. Furnished with WaterSaver self-contained compression valve unit with stainless steel valve seat. Two laboratory ball valves for gas, air and/or vacuum services.